A huge thank you to the Kamloops Sports Legacy Fund for our new safety mats! 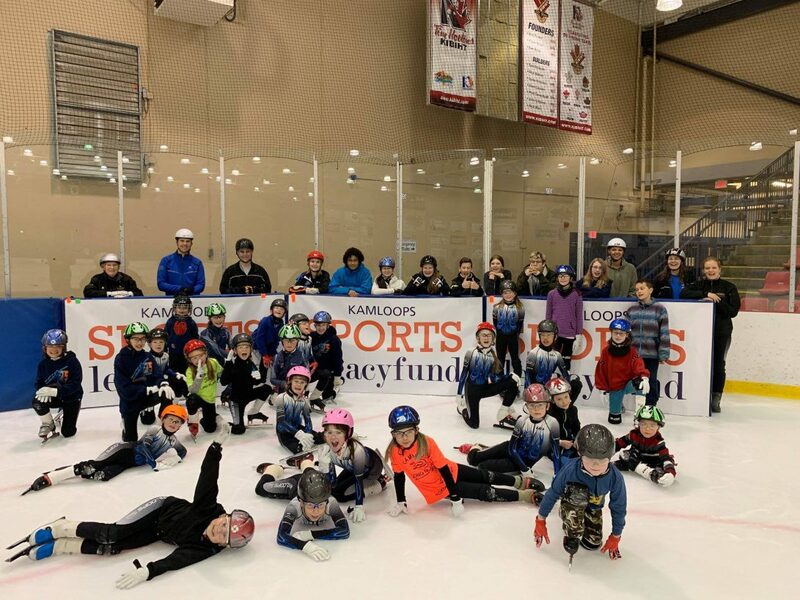 Thank you to all of the volunteers for helping out at our first sanctioned I Love Speed Skating Mini Meet of the season last Monday! Parents! We still need your help to clean out the wheels underneath the mat trolleys during practice. Please see Shawn/Jodi for more information if you are able to help out. Thank you! Kelowna Cup – December 15, 2018 Kelowna Cup Registration Form Deadline is December 5, absolutely NO EXCEPTIONS. Fort St James Long Track Interclub – January 5, 2019 – More information to come! Prince George Long Track Interclub – January 12, 2019 – More information to come! Interior FUNale (Vernon) – February 23, 2019 – More information to come! Gary’s meats and Fresh is Best orders will be in on Monday December 3rd. Please pick up your order up on the mezzanine. See you all at practice this week!